As of mid-July 2015 we will have been treated to the best look at the most famous dwarf planet in the solar system. It took over 9 years for the New Horizons probe to reach the vast outer orbit of this mysterious body. What was happening in Earth technology when New Horizons launched in 2006? Apple’s iPod was riding high, while the company was already preparing a new device for 2007 that would eventually kill off the dedicated music player. Firefox 2.0 and Internet Explorer 7 (shudder) were launched. 2006 is also often considered the rise of the social networks. Events later immortalized in biopics like David Fincher’s 2010 The Social Network had just unfolded. 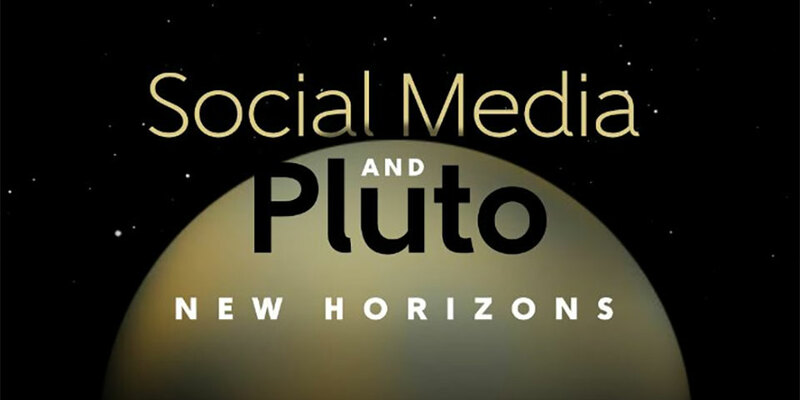 So, what does social media have in common with Pluto? In 2006, if you were a social media “guru” then you were a hot commodity. The role was in high demand in communications and marketing teams. But somewhere along the way, for many, the value of social media came into serious question. Does it really make a difference in business? Do we measure success by fans, by likes, by views, what? If we don’t have time, can it be safely ignored? Like Pluto, social media’s evolution has become a bit of a “what do we do with it now?” kind of consideration. Does it fit cohesively into strategy, or is it an outlier by virtue of its quirks? Should it be “plutoed” (3) in our marketing plans? Social media also continues to raise as many questions as answers. It’s why the idea of “social media expertise” is a bit misleading. Marketers know it’s there, know it has significance, and insofar as it can be studied and understood, they can be experts. But for many it remains an altogether distinct mystery, because it’s always been a moving target. The best anyone can really do is get as close as possible, and gain insights into social media’s trajectory and development for where it seems to be headed. 3. It’s not an isolated entity. It’s part of a bigger system. Regardless of whether IAU or anyone else wants to demote the planetary status of Pluto, it will always be part of a larger dance among the planets — so much so that its orbit crosses Neptune’s. Social media may or may not be as hot as it was 9 years ago. But trying to view it as something isolated and removed from other elements of marketing communications would be a serious error. The first assumes that social media somehow replaces good marketing, while the latter assumes that social media is inherently bad marketing. Neither is true. Instead, as marketers we need to rediscover the value of social as a meaningful component of how we communicate. Whether its role in any given marketing plan is Plutonian or Jovial, it’s still an irreplaceable part of the whole system. Any way we cut it, Pluto is still a fascinating world with many nuances left to be explored and explained. The same is also true of social media. What discoveries have you observed about social media in the last 9 years? What do you expect it to look like 9 years from now? 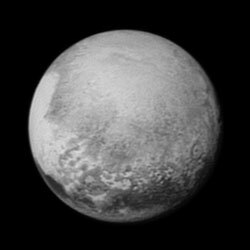 And am I the only one that feels like seeing Pluto up close is a bit like Christmas in July? For awhile there, Klout was a big deal. Not sure it matters anymore. Social media itself in general, on the other hand, is continuing to evolve. For me personally, every major opportunity I’ve had in the last decade as a writer and in the maker world has been thanks to social media and people I met… on the internet. @Julia, I agree — social media has become a crucial tool for networking communications. I’m always amazed at how often connections made online can lead to really great opportunities. Re: Klout, I’ve read there are/were companies that use/d it as a benchmark in their hiring considerations, but those seem like mostly fringe cases. While Klout can be a helpful tool for self-reference, I think there’s a general consensus that Klout can’t possibly measure *everything*, and it’s susceptible to “gaming” (e.g. inflating posting frequency with automation) as any similar system would be.